worth the trip, open to the public for this wonderful event. Last summer I spend many days, and some nights, making art at Linwood Gardens. It was a fruitful and intense retreat that allowed for expansion and experimentation. 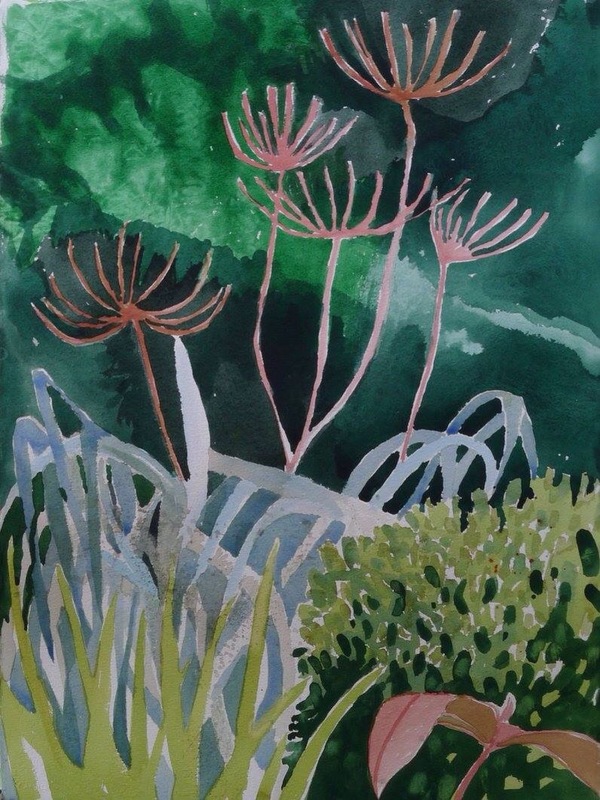 Working on full sheets of watercolor paper, my focus was set on the wonderful gardens filled with exotic plant species. It’s a peaceful place that reminds me of being in Tuscany, but only 50 minutes away by automobile. Woodcut: my activity with the carving tools is limited these days. I must have a dozen or so ideas for good designs but the distractions of summer are mounting! Painting usually wins out?